Home » Conservation » Environment » Let’s Build-A-Beach! 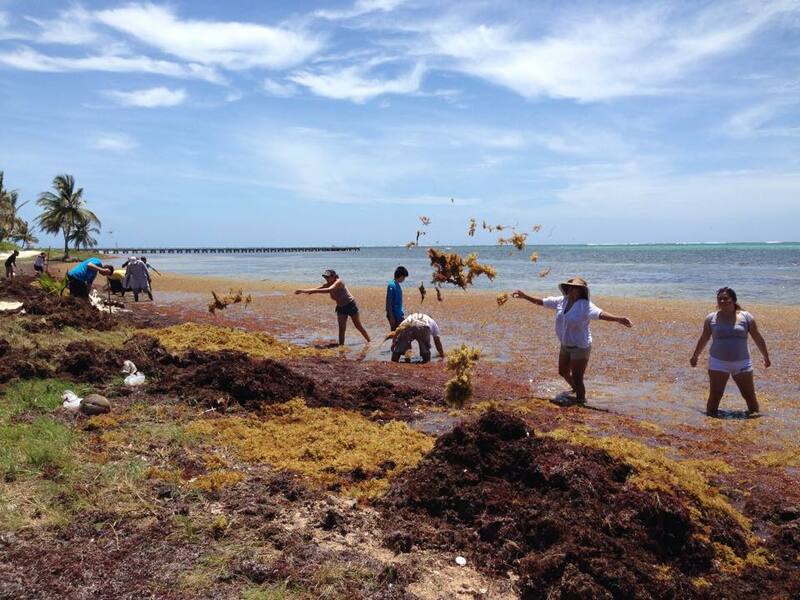 A group of dedicated San Pedro volunteers have embarked on a one- of- a- kind project that involves turning the unsightly and smelly Sargassum (seaweed) into a beach. The group of volunteers is led by Dimas Guerrero via a movement called “Build-A-Beach Campaign.” The activity takes place every Sunday at 10AM with everyone convening at the Sir Barry Bowen Bridge before heading to Northern Ambergris Caye. The Sargassum seaweed creates an unsightly and smelly situation, which has been making it very inconvenient for a swim near the beach. 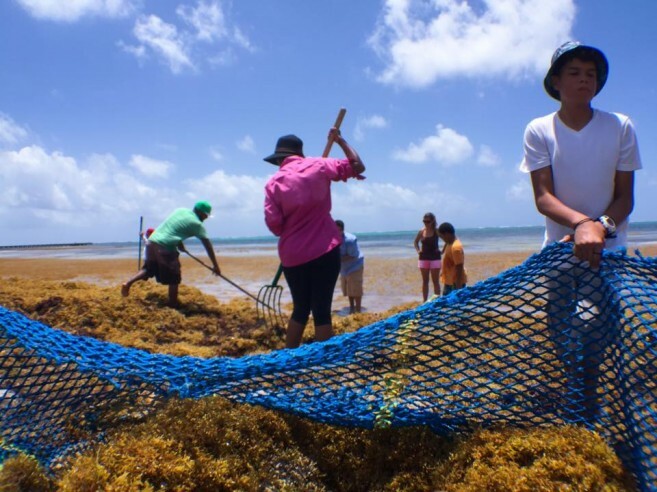 However, Guerrero came up with a great idea to get rid of that unpleasant experience while making good use of the Sargassum. “The Sargassum is gathered, spread out on the beach to dry and then buried in holes which are dug along the beach. 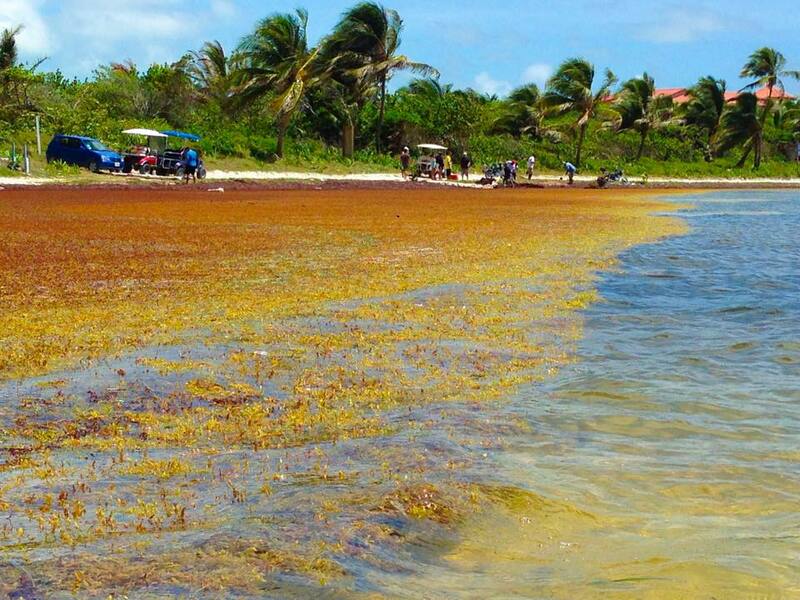 The Sargassum actually stabilizes the beach, bringing minerals to it while we use it as a landfill. The holes dug on the beach are then filled with Sargassum and covered with white sand, thus building the beach,” explained Guerrero. The project is taking place on a stretch of beach located shortly after the Las Terrazas/Journey’s End area. It is expected that the location where the project is being conducted will inspire others in starting their own initiative to build their own beach, thus –building projects along the many beach areas of the island. Everyone is asked to come out and participate in one of the “builds” and see the process. According to Guerrero it is a win- win situation, since the main aim of the project is to create cleaner and wider beaches. The group hopes that local authorities will join in assisting the cause, which is being done not just for the volunteers that help each week, but for the entire island of Ambergris Caye. 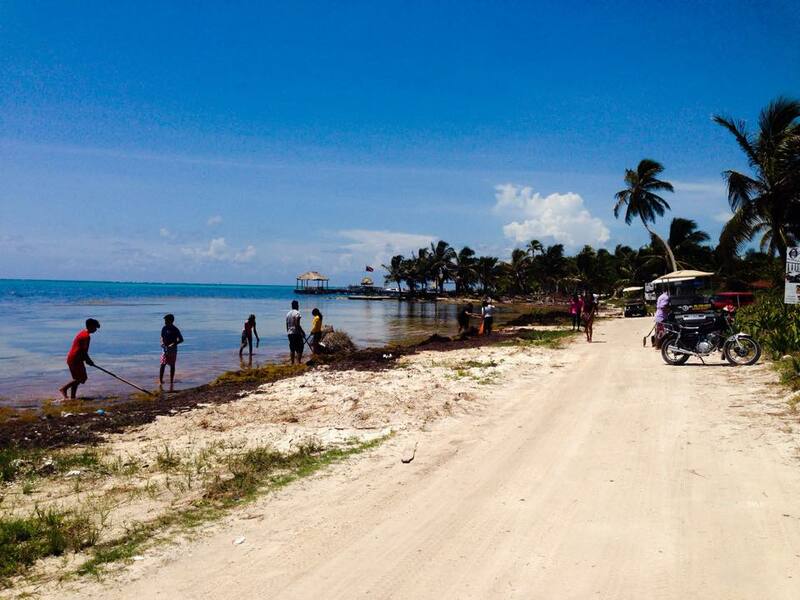 After this stretch of beach is built, the group is moving to other parts of the island to continue with the project.